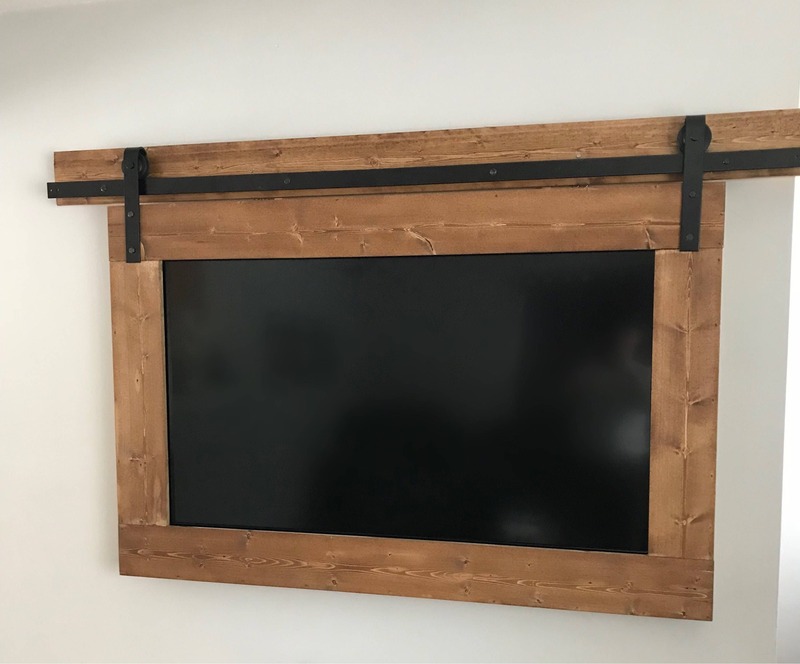 Impress your guests with this custom TV frame. 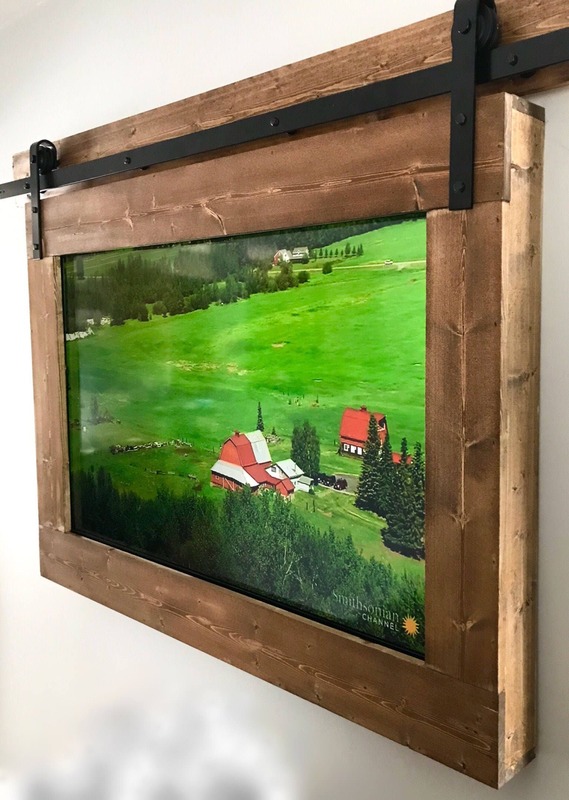 It is hand-built to your size specifications for a perfect fit. 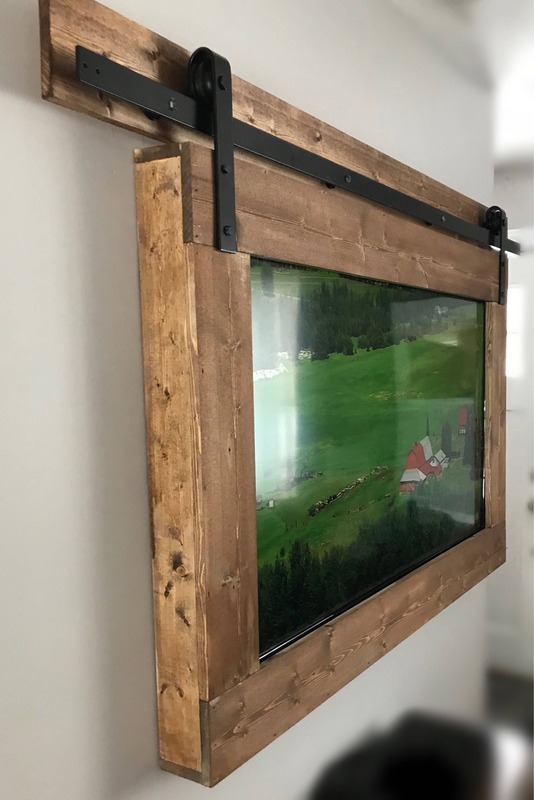 The wood and barn-door hardware add beauty and richness to any wall-mounted flat-panel TV. 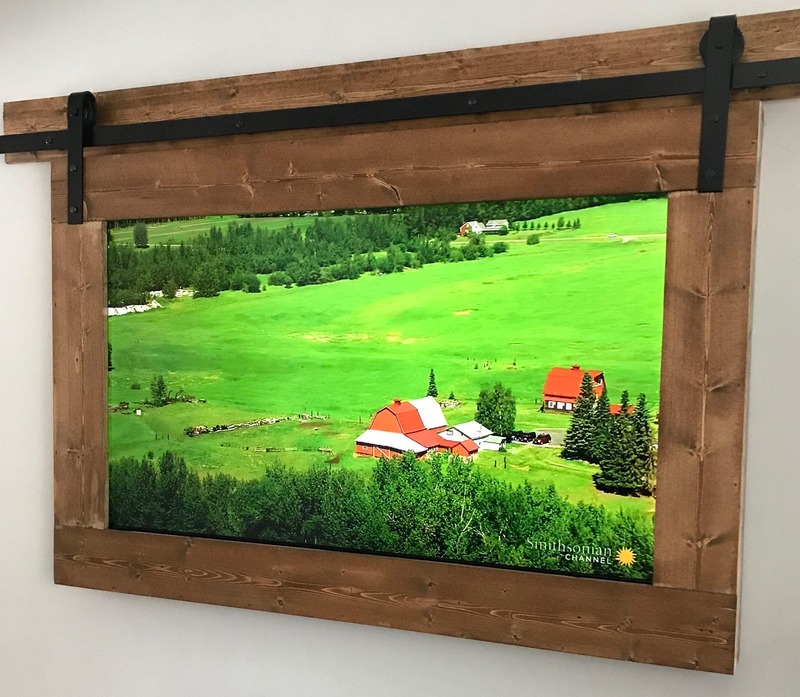 The price reflects the size in the photos which has a 55" screen. Price Does not include shipping. Contact us for an accurate shipping quote using your zip code or for custom build quotes.